The rate at which contaminated water has been pouring into the Pacific Ocean from the disabled Fukushima nuclear plant is worse than previously thought, an Industry Ministry official said Wednesday as PM Shinzo Abe pledged to step up efforts to halt the crisis. The Voice of Russia contacted Arnold Gundersen, founder and president of Fairewinds Associates, to discuss the crisis and its possible solutions. The expert suggests radioactive material will continue to leak into the global seas unless the plant is surrounded with a trench filled with zeolite. Even then however, toxic material will still flow into the Pacific through underwater routes. Evgeny Sukhoi: Is it possible to somehow make the wastewater storage basins waterproof and thus rule out leakage? Arnie Gundersen: The horse is already out of the barn here. This plant’s been leaking for two years. And finally, now, the radioactive water has made it to the ocean. But my experience with underground water is that – if it is serious at the ocean, it is more serious as you move away from the ocean. 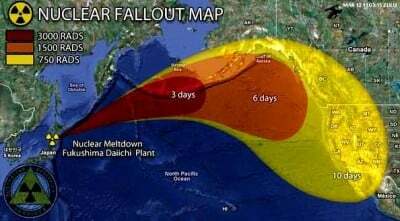 So, spike of radiation continues to move to the ocean. The Japanese are proposing putting in a barrier to prevent the water from entering the ocean. That is two years too late and will be too late by the time they construct that barrier. But the barrier also causes another problem. If the water can’t go anywhere into the Pacific Ocean, it is going to build up onsite, which means that the nuclear reactors themselves will become unstable. The water can pull underneath the nuclear buildings and if there is an earthquake, in fact the nuclear buildings could topple. So, by solving one problem, they are creating another problem. ES: Is it possible to somehow avoid that scenario? AG: The solution that I proposed two years ago was to surround the plant with a trench filled with material called zeolite. That’s just the volcanic ash. The volcanic ash is very good at absorbing radiation. But the solution isn’t to keep the water from getting out. The solution is to keep the water from getting in. So, outside the trench that they surround the plant, if they pull the water level down (the clean water outside the trench) that would prevent further water from leaking into the Daiichi site. The Japanese haven’t been willing to spend the money. I approached them two years ago with this and I was told that Tokyo Electric doesn’t have the money to spend. But of course, the problem now is that we are contaminating the Pacific Ocean which is extraordinarily serious. ES: Is there anything that can be done with that, I mean with the ocean? AG: Frankly, I don’t believe so. I think we will continue to release radioactive material into the ocean for 20 or 30 years at least. They have to pump the water out of the areas surrounding the nuclear reactor. But frankly, this water is the most radioactive water I’ve ever experienced. I work directly over a nuclear reactor cores during refueling outages. And the water directly over a nuclear reactor core when the plant is operating is a thousand times less radioactive than this water. So, there is an extraordinary amount of water and even if they build the wall, ground waters enter the Pacific through underwater sources. It doesn’t have to run of the top of the surface into the Pacific. It can enter the underwater sources as well. ES: Domestically, do you expect the latest disclosures about Fukushima to delay decisions on reactivating Japanese nuclear power plants? AG: I think it should. I think the big problem is that the Japanese Government has not been honest with its people about the cost to clean up Daiichi. I think the cost to clean up just the site is going to be $100 billion. And the cost to clean up the prefecture of Fukushima is going to be another $400 billion. The Japanese Government hasn’t told the people that they are on the hook for a half a trillion dollars. And I think if the japans people understood the magnitude of the damage a nuclear plant can create, they’d have had second thought about staring up the remaining nuclear plants because it could happen elsewhere. This is the most seismic place on the planet and to build a nuclear plant there is rather foolish.